Deathly Hallows Part 1. आप can tell द्वारा the गोफन Ron's wearing - it's after he splinched himself Disapparating from the Ministry. 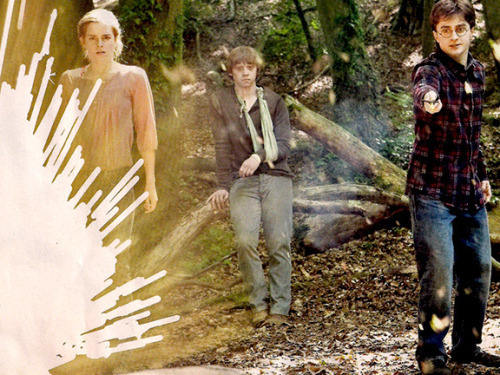 Harry Potter and the Deathly Hallows Part 1, when the trio was trying to destroy the locket.